Keep proper footing and balance at all times in the Magnum 8" Leather CT CP Work Boots. Uphill and down, in water or through the mud, the Vibram slip-resistant and puncture proof outsole makes the boots safe for any type of terrain. The boots are made of full grain leather, and feature a 8-inch lace-up upper with reflective accents. 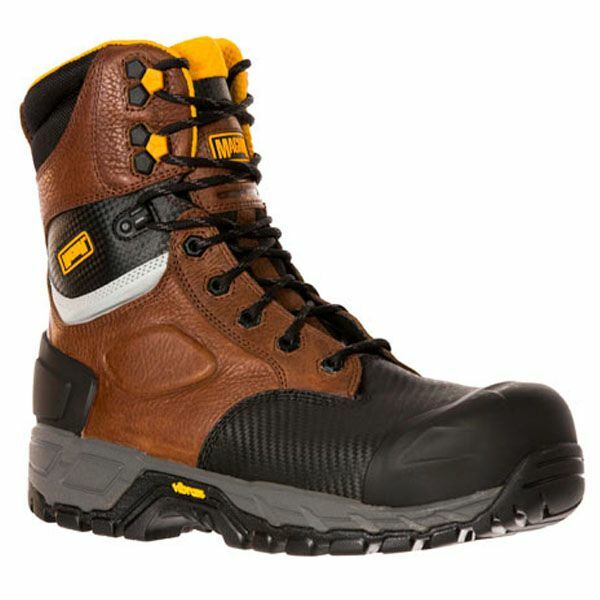 On the front the heavy duty TPU guard and composite safety toe will protect your feet from the hazards of the job. The boots comply with the ASTM standard.